Ketchikan - Statewide: Ketchikan's Unemployment rate rises one-tenth of a percent in February - Ketchikan' non-seasonally adjusted unemployment rate rose one-tenth of a percent in February to 10.8 percent. An earlier labor report released by the Alaska Department of Labor reported Ketchikan's unemployment rate in January 2010 to be 10.9 percent, a figure which was recently revised & lowered by the Alaska Department of Labor and Workforce Development to 10.7 percent. 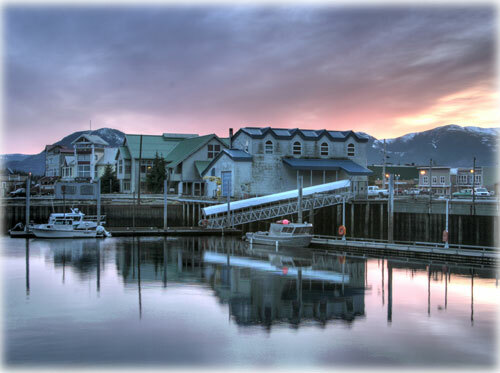 In Ketchikan's civilian work force, 810 were reported as unemployed in February. In January, the number reported as unemployed in Ketchikan's civilian labor force was 819, which was later revised to 807 by the department. The civilian labor force in Ketchikan in February was reported as 7.500. The most recent number reported for January's workforce was 7,535. According to the department, as more information becomes available, data is revised every month for the previous month and at the end of every calendar year. Alaska's seasonally adjusted unemployment rate was unchanged in February, holding at 8.5 percent. January's revised unemployment rate of 8.5 percent was the same as its preliminary rate. The comparable national rate for February was 9.7 percent and it too was unchanged from January. The unemployment rates for both Alaska and the U.S remain higher than they were a year ago but Alaska's picture is still better than the nation's - it remains below the national rate. The year 2009 was the first year since 1982 that Alaska had an annual unemployment rate that came in below the nation's. It appears Alaska is on track to repeat that in 2010. Alaska: Sealaska Announces Spring 2010 Distribution - On behalf of the Sealaska Board of Directors, Chair Albert Kookesh announced the distribution to be paid to tribal member shareholders on April 09, 2010. The distribution is derived from operations earnings, the Marjorie V. Young Permanent Fund and from ANCSA section 7(i) revenue sharing. "Approximately $3.7 million will be infused into the Southeast economy alone with the April 2010 distribution," said Kookesh. "This demonstrates one aspect of the vital role Sealaska and its tribal member shareholders play in the regional economy. Sealaska has over 20,000 tribal member shareholders and more than 40% living in southeast." Dividends from the Marjorie V. Young Permanent Fund will be based on a percent of market value (POMV) and averaged over five years. Fish Factor: Tracking deckhand workforce; Processors can take it; & AK's biggest crops drop By LAINE WELCH - It's tough to track a workforce when you don't know where it is. But that will remain the case for more than 20,000 Alaska deckhands, at least for the immediate future. Crews aboard fishing boats are one of the only groups of laborers in Alaska not counted by the state. A project to collect labor data on deckhands in every fishery has been under development for two years, and it seemed to be on its way for legislative approval this year. Concerns by the United Fishermen of Alaska, however, were enough to stall the program from being introduced this session. At issue: skippers would be tasked with all the paperwork. "We support the project, but feel the burden should be on the crew," said UFA executive director Mark Vinsel. "Skippers can verify the information. But this shouldn't be a big hurdle to the program." Member salmon fishermen who make multiple deliveries a day were very concerned about the data collection and reporting, said UFA president-elect Arni Thomson. "Some setnetters work four or five sites. They'd likely have to hire a bookkeeper to keep track of all the data." From the outset, multi-agency and industry stakeholder advisory teams expected that deckhands could provide their own work data using existing fish tickets and electronic landing systems. "Crews are so transitory and modifying the simple swipe card system already in place is the best idea," said Shawn Dochtermann of the Kodiak-based Crewmen's Association and a stakeholder committee member. "We were really surprised to see that option not included in the final analysis. We all are willing to be very flexible, but without a crew swipe card the program is being set up to fail." The crew doing their own reporting was in the lineup originally, but longer analyses showed it was not feasible for collecting the kinds and quality of data needed, said Jan Conitz, project director for ADF&G. "The real problem is that we don't actually know who is fishing as crew members. We have a data base showing persons who purchased licenses but we don't know where they fished or how long, or if they even fished at all. Others use a limited entry permit to qualify for crew license. So we don't even know who those people are," Conitz explained. "And since we don't collect any other crew data, there is nothing we can use to check the accuracy of their reports. In the case of skippers, we have their landing reports and a record of their activities, so it is easier to follow up if we have missing or inaccurate data." Subsistence Rights opinion By Aan Kadax Tseen aka Don Hoff Jr. - Our Lands, Our Seas, So fight for it! S 881 meeting set for Ketchikan By Johnnie Laird - I want to take this opportunity to thank those that sent in emails to Sen Murkowski asking her to set a meeting about this legislation in Ketchikan. It has been set for Saturday, March 13th at 12 noon at the borough chambers.